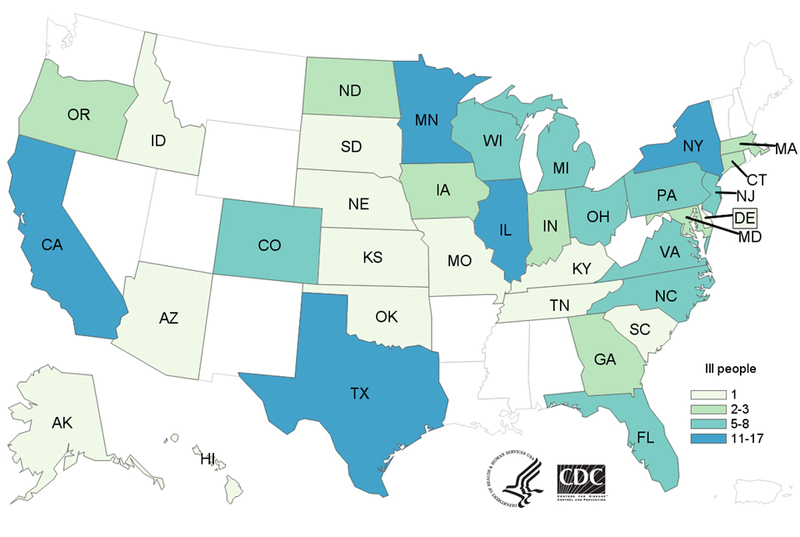 CDC and public health and regulatory officials in several states are investigating a multistate outbreak of multidrug-resistant Salmonella infections linked to raw turkey products. The U.S. Department of Agriculture’s Food Safety and Inspection Service (USDA-FSIS) is monitoring the outbreak. Seventy-four more ill people from 26 states were added to this investigation since the last update on July 19, 2018. 63 people have been hospitalized, and one death has been reported from California. In interviews, ill people report eating different types and brands of turkey products purchased from many different locations. Three ill people lived in households where raw turkey pet food was fed to pets. The outbreak strain has been identified in samples taken from raw turkey pet food, raw turkey products, and live turkeys. New U.S. Food and Drug Administration (FDA) draft guidelines better protect consumers from contaminated food by broadening and clarifying circumstances in which the agency will release the names and addresses of stores where recalled products might have been sold. This is a significant, positive change in FDA’s food safety policies, and one that The Pew Charitable Trusts and 10 other public health groups had urged because store information can help people determine whether they may have bought or eaten potentially dangerous items. Previously, agency officials often said they were required to keep retailer information from the public, even amid outbreaks such as one linked to papayas in 2017 that resulted in more than 230 Salmonella infections. The product being recalled is not easily identified from its packaging. According to the draft, this could mean foods sold without a universal product code or bar code, or items that lack a lot number or other identifier recognizable to consumers. The food is likely to still be in a consumer’s possession based on its shelf life or perishability. FDA will also consider publicizing retailer information in other situations that do not meet this two-part test, especially when a recalled food is associated with a foodborne illness outbreak. Finally, the agency suggests that it may release retailer information during recalls of items that pose lower risks to public health but are difficult for people to identify because the items lack or have minimal packaging. Fruits, vegetables, and products sold in bulk such as nuts are among the examples FDA gave in its guidelines. Consumers should keep in mind that the agency’s store lists won’t necessarily be comprehensive or completely accurate. Moreover, retailers not named in FDA’s announcements could carry food covered by a recall. The nation’s vast and frequently complex food supply chain makes it challenging for FDA to collect and verify information about all locations where a product may be sold. And though companies involved in the recall may be able to provide additional details, they, too, face obstacles in tracing food products from the farm or manufacturer to the point of sale. Despite these limitations, FDA’s expanded guidelines are unquestionably a big victory for consumers and public health. The new policy brings a more consistent and transparent approach to announcements essential to helping Americans protect themselves and their families from foodborne diseases. And it closely aligns how the FDA — which oversees about 80 percent of the food supply — communicates about recalls with comparable practices at the U.S. Department of Agriculture, where meat and poultry products are regulated. That’s progress worth celebrating. 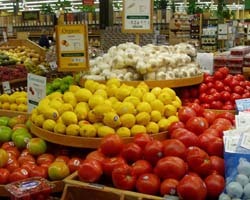 Sandra Eskin directs The Pew Charitable Trusts’ work on food safety.